Forget you, Olive Garden! We are bringing our own soup and salad to work. 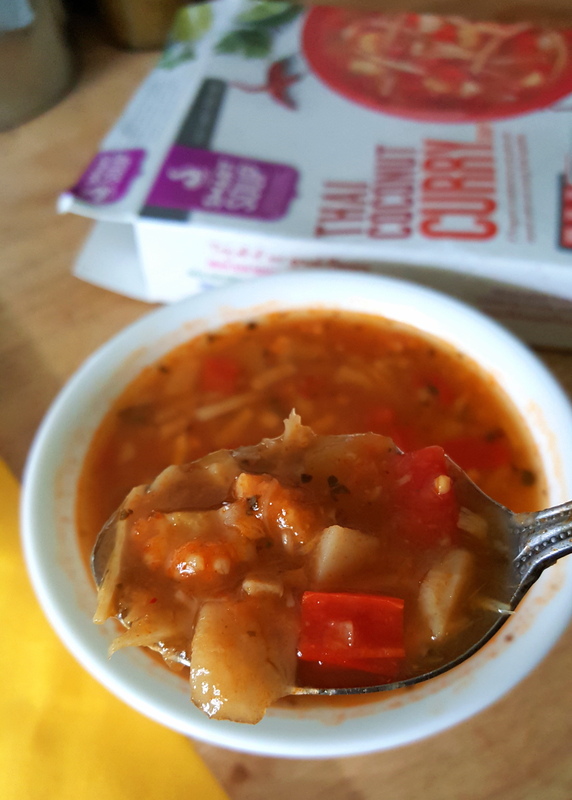 Soup is an awesome option to consume more veggies AND feel full with fewer calories but packaged soups often have too much sodium, weird looking meat pieces, or too many additives. 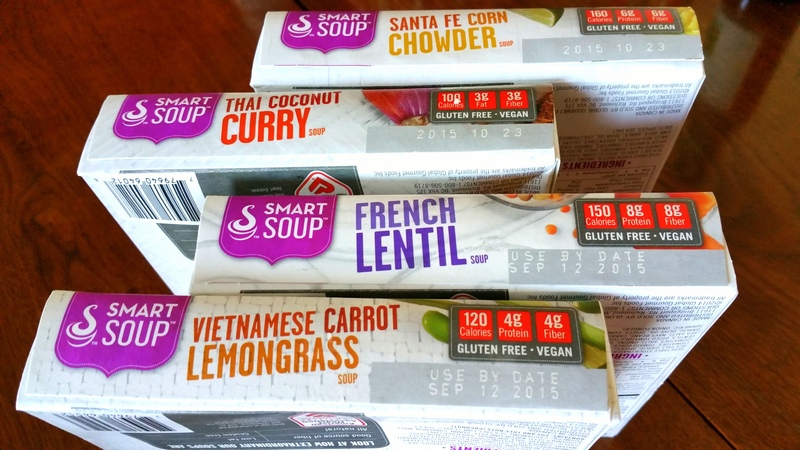 We were souper (hehe) excited to try some samples of Smart Soups because they are (ehem..be jealous cans o’ soup) none of those things. Creator, Anne Chong Hill has long history in the prepared food industry and recognized the need for high quality, easy to make food and her recipes are inspired by her international background and travel experiences. With 7 souperb (ha ha ha) flavor options, we had a hard time choosing what to try first. We received 5 options. Greek Minestrone was Kate’s first go to. Packaged minestrone tends to be bland or have too many noodles in the way. The Greek Minestrone was packed with veggies and rich in herby flavor, possibly the best Minestrone out there except what your grandma might be able to make (if she can cook). Pairing tip: Greek Salad with feta, olives, artichokes and mixed greens. 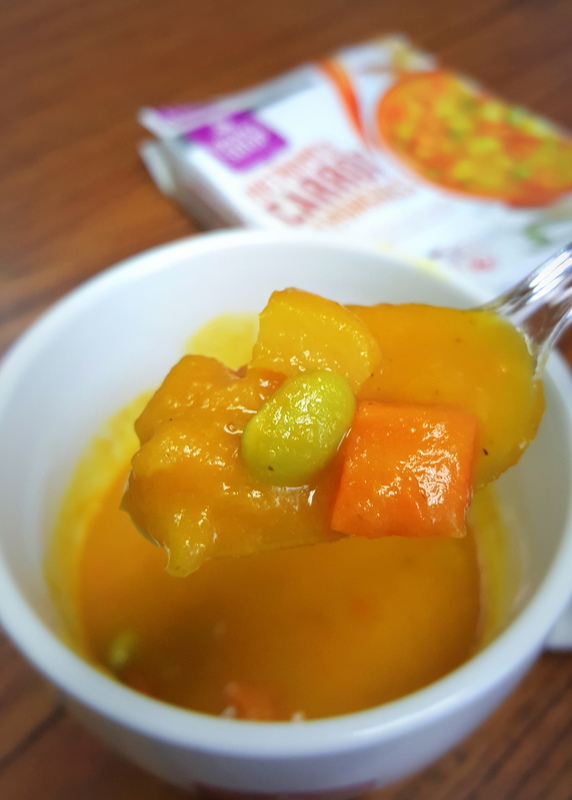 Thai Coconut Curry is Mon’s fave Smart Soup. Full of coconut water blended with fresh red curry made an amazingly authentic dish, especially tasty on a rainy day. It includes plenty of baby corn, bamboo shoots and red pepper. Pair with side of grilled spiced tofu. 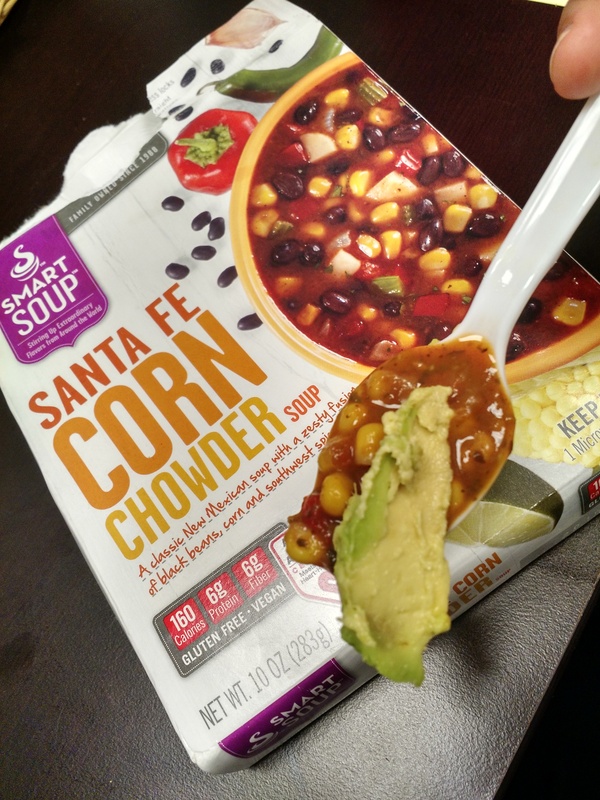 Sante Fe Corn Chowder is vibrant with red peppers, black beans, and corn, balanced with a squeeze of lime. Dunk a vegan tostada and plenty of avocado in it! Vietnamese Carrot Lemongrass is filled with rich tasty Asian flavors and veggies. Pair the satisfying soup with a Tofu Bahn Mi sandwich. French Lentil Soup makes a hearty meal with green and red lentils, leeks and moorish spices. Mix it up with a baguette and nicolaise salad. 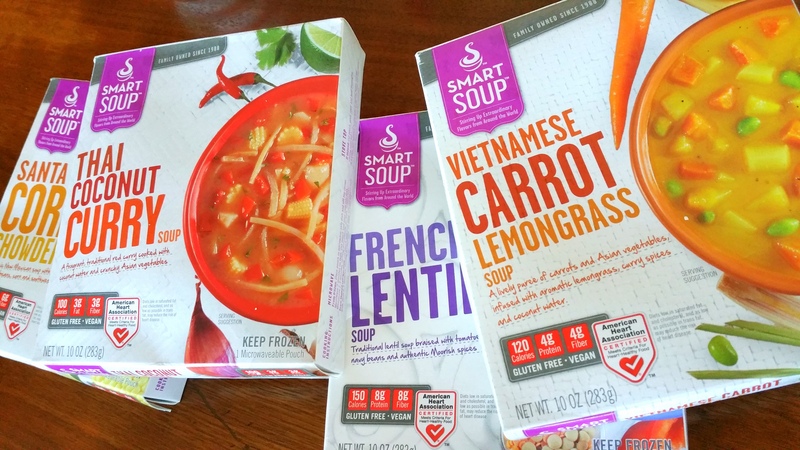 Smart Soup stores easily in the freezer and couldn’t be more simple to make. You open the bag and pop it on the stove or in the microwave and then you’re done. You can get creative with Smart Soups too by integrating them into new recipes as well. What’s the most delicious soup you’ve ever tried? Maybe you could inspire a new Smart Soup!